Last Thursday, 29-year old Thomas Hughes allegedly took his life by jumping from a luxury apartment building at 1 West Street in Manhattan. According to Hughes’ resume at the Financial Industry Regulatory Authority (FINRA), he had previously interned at JPMorgan Chase, as well as held jobs at Citigroup and UBS after graduation from Northwestern University. Hughes was employed at investment bank, Moelis & Company LLC, at the time of his death. JPMorgan Chase, Citigroup and UBS pleaded guilty to criminal felony charges for conspiring to rig markets the week prior to Hughes’ alleged leap from the building. The fact that JPMorgan Chase holds an estimated $179 billion in life insurance on its workers, and in some cases, prior workers, whose death benefit pays to the bank not the family of the employee, has raised concerns of more than just trading conspiracies at JPMorgan Chase. JPMorgan Chase could have other reasons for restricting information as to just what its tech workers are up to. There are ongoing lawsuits and investigations across Wall Street into the use of computerized trading to rig markets. One thing that JPMorgan has never before done in its 200-year history is to plead guilty to a criminal felony. That occurred on May 20 while the bank was still under a two-year probation and a deferred prosecution agreement for two felony counts in aiding and abetting the Bernie Madoff Ponzi scheme. It’s certainly a bank worth keeping an eye on – from many levels. Following are the names of individuals who, at the time of their death or previously, were employed by JPMorgan Chase and experienced unusual deaths since December 2013. With the exception of the Knotts, all of the individuals were under 40 at their time of death – a striking statistic. Gabriel Magee, 39, died on the evening of January 27, 2014 or the morning of January 28, 2014. 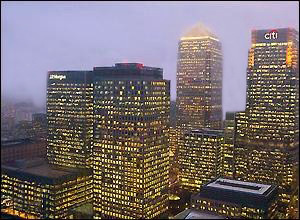 Magee was discovered at approximately 8:02 a.m. lying on a 9th level rooftop at the Canary Wharf European headquarters of JPMorgan Chase at 25 Bank Street, London. His specific area of specialty at JPMorgan was “Technical architecture oversight for planning, development, and operation of systems for fixed income securities and interest rate derivatives.” A coroner’s inquest in London, which relied heavily on information provided by JPMorgan Chase, determined the cause of death to be suicide. Ryan Crane, age 37, died February 3, 2014, at his home in Stamford, Connecticut. The Chief Medical Examiner’s eventually ruled that the cause of death was ethanol toxicity/accident. Crane was an Executive Director involved in trading at JPMorgan’s New York office. Crane’s death on February 3 was not reported by any major media until February 13, ten days later, when Bloomberg News ran a brief story. The bodies of Julian Knott and his wife, Alita, ages 45 and 47, respectively, were discovered by police on July 6, 2014 at approximately 1:12 a.m. in their home in the Lake Hopatcong section of Jefferson Township. After a two-day investigation, police announced that they believed Julian Knott shot his wife repeatedly and then took his own life with the same gun. Knott had worked on JPMorgan computer networks in London since 2001, initially as a subcontractor for Computer Science Corporation and, later, IBM. Knott formally joined JPMorgan Chase at its London operations in January 2006 and remained there until 2010 when he transferred to JPMorgan’s large complex in Columbus, Ohio and rose to the rank of Technical Director of Global Tier 3 Network Operations. Knott was transferred again in 2012 and began work in JPMorgan’s high tech Global Network Operations Center in Whippany, New Jersey. Six months before his death he was promoted to Executive Director. Michael A. Tabacchi, 27 years old, and his wife, Iran Pars Tabacchi (who also went by the name Denise) were discovered dead on Friday evening, February 7, 2015 in their home in Closter, New Jersey. Their infant son was in the home and unharmed. A text message from the home had been sent to the father of Michael Tabacchi asking him to come to the home, according to media reports. The father found the couple. On the very evening the bodies were discovered, before any autopsy had been performed, Bergen County, New Jersey Prosecutor John Molinelli characterized the deaths in a tweet as a “probable murder suicide.” Michael Tabacchi’s LinkedIn profile lists him previously as an Operations Analyst at JPMorgan with the current JPMorgan title of Associate. Thomas J. Hughes, age 29, was found dead on May 28, 2015 outside his residence at 1 West St., Manhattan. A spokeswoman for the NYPD said his injuries were “consistent with a fall from an elevated location.” Hughes’ death came the week after JPMorgan Chase, Citi, and UBS each pleaded guilty to criminal felony charges of engaging in a conspiracy to rig markets. Hughes had worked for all three firms previously. He was currently employed at the investment bank, Moelis & Company LLC.